The brigades of Hays, Walker, and Stoughton leave the field and march to McFarland Gap. 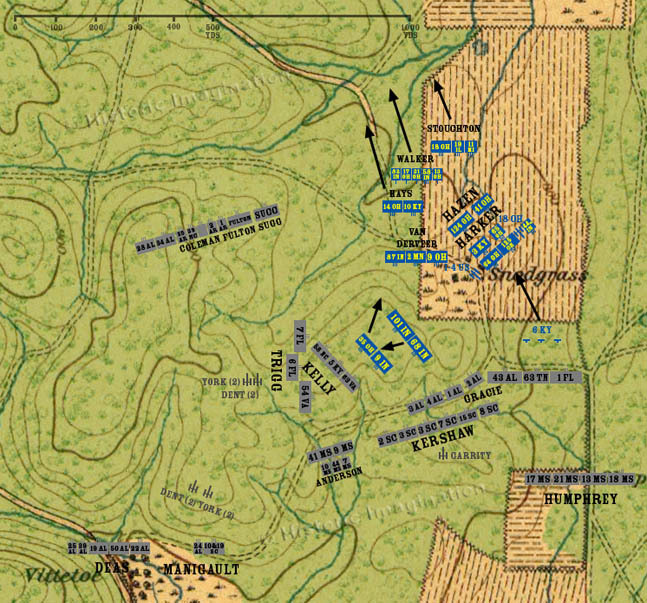 The 6th Kentucky finds the Confederates in the woods and returns without firing a shot. The 68th and 101st Indiana relieve the 35th Ohio and 9th Indiana.